Villain. Bad guy. Antagonist. Villainess. Black hat. Call them whatever you want, they can leave a bad feeling for other characters. Whether it's the dragon Smaug from J.R.R. Tolkein's The Hobbit or The Flash villain, the telepathic simian Gorrila Grodd. More times we think of the hero as the mover and shaker of the story, the protagonist. However, it's the antagonist who drives the plot of the story. The villain/antagonist is a character of the story the protagonist stands against. He's the one with the plan. The character lives to achieve his own goals like revenge, power, recognition, etc. The hero is there to thwart the villain. Spider-Man swings around the city on watch for any action from a bank robber or Electro rampaging through Time Square. Batman, on the other hand, is either patrolling Gotham City or sitting in the Batcave searching the whereabouts of one of his foes. Magneto: Master of Magnetism. What makes him a sympathetic baddie? As a survivor of the Holocaust, Erik Lehnsherr lost his family during that time and has seen mankind's capacity for hatred and violence. His "by any means necessary" mindset makes him the Malcolm X of mutantkind to Professor X's Dr. Martin Luther King. Two-Face. 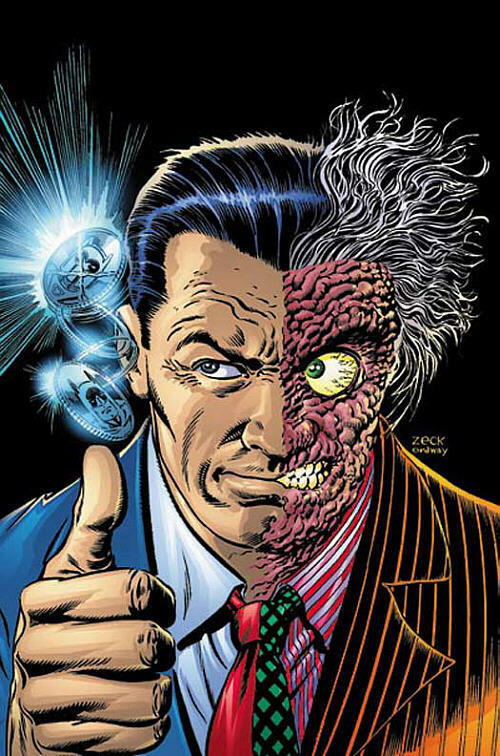 Harvey Dent was Gotham's D.A. with a dark secret: A split personality spawned from childhood abuse and hardship. After a gangster threw acid in his face during a trial, the left side of his face was scarred. However, the psychological and physical trauma won out over Dent creating the violent alter-ego influencing his other half. Not being able to tell right from wrong, Two-Face leaves his decisions to the flip of a coin. The Lizard. Dr. Curt Connors was a genetic biologist who researched the ability of certain reptiles to regrow missing limbs, partially to regrow his missing right arm. 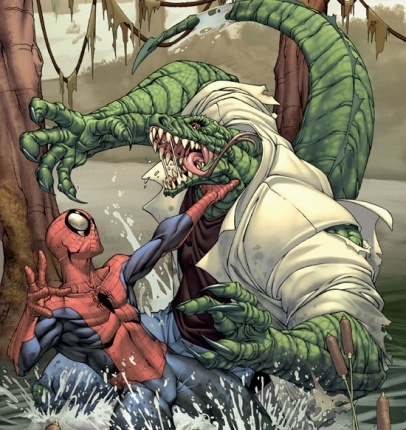 After experimenting on himself, he became a lizard monster, and has occasionally clashed with Spider-Man. Although he's helped the wall-crawler on scientific occasions, Connors is a victim of his own sensible ambitions. The villain's motivations and point of view depend on the villain himself or those close to him. Plus, it's a writer's duty to show the reader what made them what they are. For those who are having a hard time creating the bad guy of their story, here's an exercise from *Writing for Comics & Graphic Novels with Peter David. Decide who the hero is going to be that your villain will be in opposition to. Select some aspect or aspects of the hero that your villain can mirror. Develop a backstory for your villain that explains why he does what he does. Develop powers and a "name" for the villain that are reflective of all of the above. We can all create that main character everyone can love but the challenging task of writing fiction is creating a villain readers will hate, or feel for. As Mr. David puts it: "Everyone, even the most hardened criminal on death row, has reasons for his or her actions." *Source: Writing for Comics & Graphic Novels with Peter David, pg. 39. Great examples, Andrew. A sympathetic villain not only engages the reader's emotions more fully, but also gives a concrete sense of what the villain is after — much more definite than simply "EEEvil." You're right. There's more to antagonist than simply evil. Case in point: Captain Cold. He's all about the score. Get in, grab, and get out. Plus, his sense honor prevents him from using his freeze guns for murder. Like any self-respecting lowlife he's trying to make a dishonest buck. Two very famous examples I can think of come from Star Wars. What, exactly, is Darth Vader's motivation in the very first film (A New Hope)? You're not allowed to bring in family issues or the whole Padme deal (which didn't happen anyway ). There is no conflict in Vader there. He's just a cool mask with a booming voice, a cyborg wizard-knight, and pure evil. (What's blowing up a planet full of billions of people? Nothing but statistics and an inflated electricity bill.) Sure, there's Obi Wan telling Luke that Vader used to be a great Jedi Knight and a personal friend, but there's none of that actually on screen. It's mere telling, an Informed ability that the film, wisely, doesn't dwell on. This isn't to say that Darth Vader didn't, or shouldn't have become deeper and more nuanced. I still say one of my favorite scenes is the final duel between Luke and Vader, and it does help that by then both characters got more nuanced. They needed to, in order to justify a third film. BUT, what got that third film made was the second one, which in turn got made because the first captured the imagination of the public. And it did so with a pure evil, iconic villain. Also from Star Wars, and an even more clear-cut example, is the Emperor himself. He's pure evil and he loves it, quoth Mr. Plinkett, and there's no sappy redemption story at any point. Also iconic, and a necessary third player in that duel scene I love so much. Other iconic "baddies" are the Xenomorphs from Alien. Scare quotes, because it's not clear how "evil" applies to a creature's biology. The xenomorphs are, in a sense, just a species like any other, surviving in the way mother nature (or the Engineers, who knows) saw fit to bestow on them. They happen to be horrifying while doing so. Do you really need to think in terms of their motivations however, or find them sympathetic, to still have them haunt nightmares and art books? How about Lovecraft's Mythos? What made it so enduring, I think, is precisely how alien, and at once disturbingly resonant, it is. I'm sure there's someone out there writing a fanfic sob story about how Azathoth has confidence issues from being bullied in class for being "slow" and wishes to take it all on the universe, but that kinda misses the point. Azathoth, the Blind Idiot God, is all about how immensely uncaring, unsentient, amoral the Universe is, and how all the good will and smarts you may gather means jack all sometimes. You can then wiggle around and say, but all those stories have actual human villains somewhere, people who have some kind of sympathetic reason for what they do. True. It takes all kinds to make a good story. But let's not discount the villains who are evil (or villainous) for evil/villainy's sake. Good point there, Blandcorp. In my opinion the Xenomorphs are "bad" for the sake of being bad with how they kill or harvest their victims for reproducing their kind. Other villains of that category include Unicron from Transformers: The Movie from 1986. There are no reasons behind Unicron's actions other than fearing the Autobot Matrix of Leadership which destroyed him at the end of the film. Makes sense. Even Sauron, or Morgoth, from LotR approach pretty close to what some have referred to as Iago's "motiveless malignity." Gandalf says, vaguely, "There is such a thing as malice and revenge" — but he never really answers Frodo's question about revenge for what.